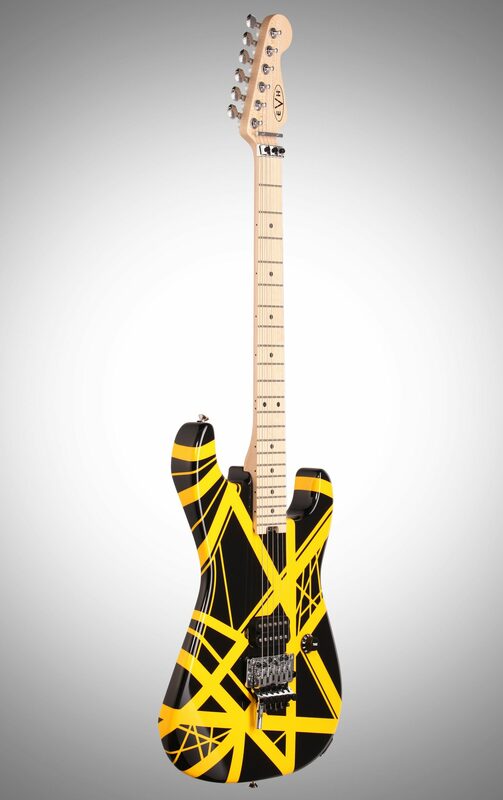 If Eddie Van Halen could have ordered his dream guitar in the late '70s, what would it have looked like? 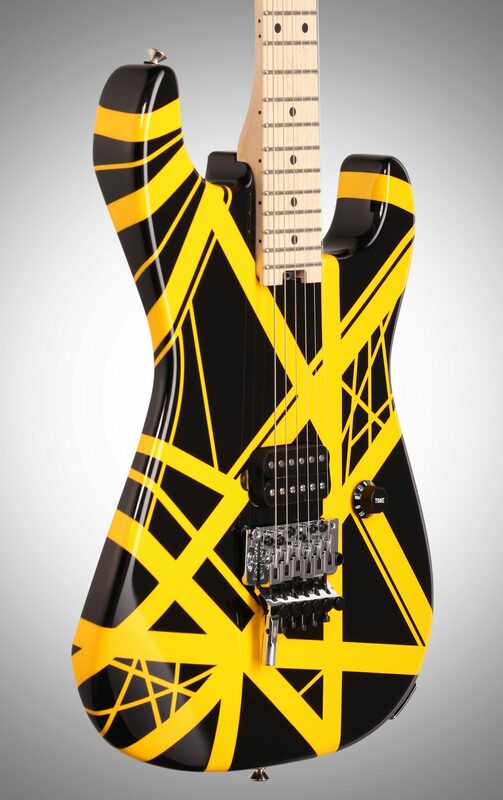 EVH has answered this with the Eddie Van Halen Striped Series of guitars -- delivering an unblemished modern take on the guitar hero's most iconic axes. Countless aspiring shredders took to their axes with paint cans after Van Halen erupted on the scene. 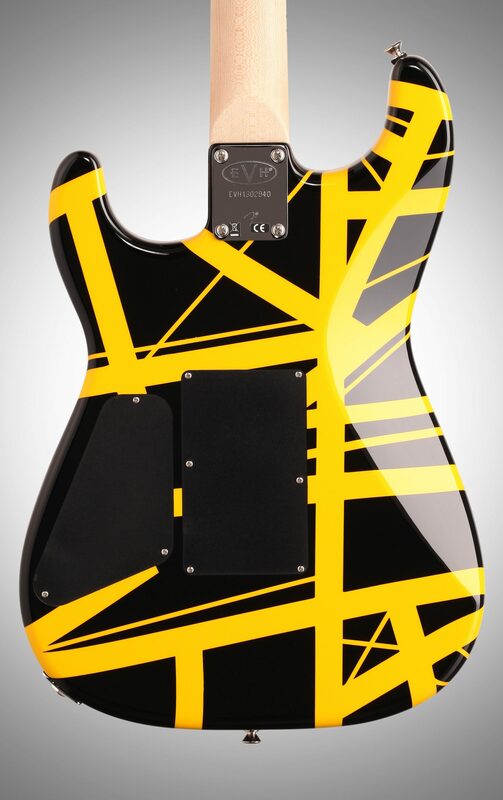 While it might have been a fun DIY project, it's now much easier for EVH luthiers to do the work for you when you order a brand-new, professionally made version of Eddie's "Frankenstein." 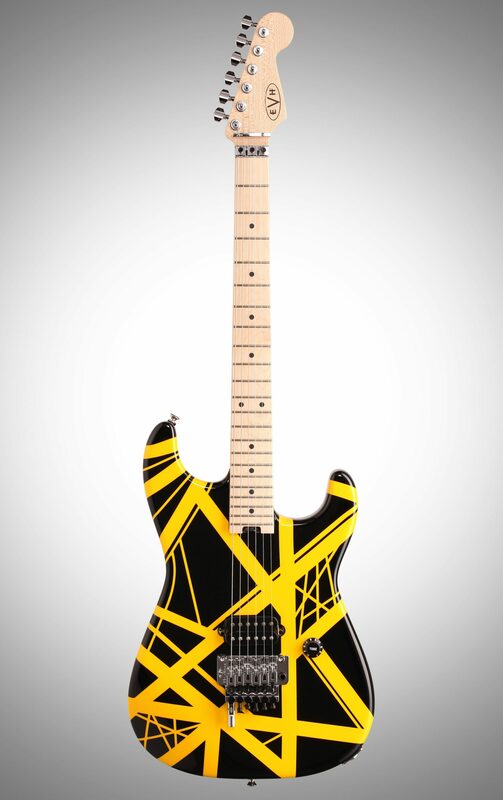 EVH has also fitted this version with a quartersawn maple neck for the same look as his iconic guitar. One of the most subtle touches is the single volume knob -- it's labeled as a tone knob, just like on the original. 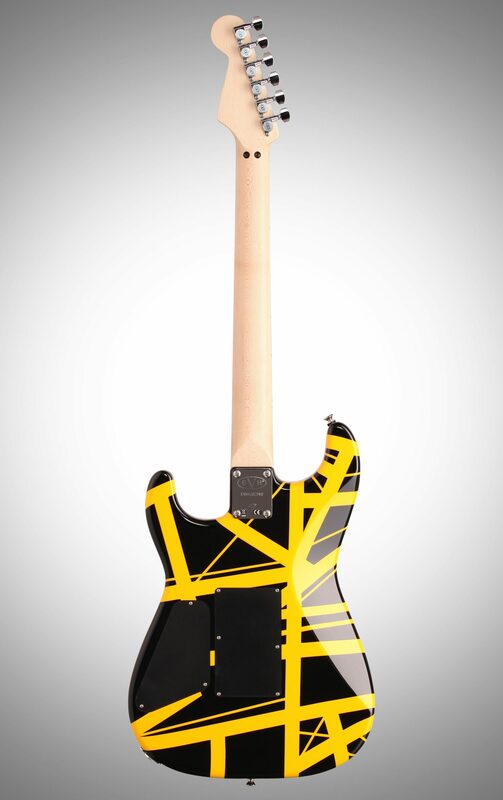 The EVH Eddie Van Halen Striped Series guitars build upon the legend's original homemade guitar -- with several new features. EVH has issued his own branded locking tremolo system for players embarking on warbling whammy dive bombs. The bridge comes equipped with the D-Tuna system -- a new best friend for players who instantly want to drop their low E string down a whole step for heavier chugging. The sole pickup is an EVH Wolfgang humbucker in the bridge position. Naturally, these guitars were developed with help from Eddie Van Halen himself, who oversaw 80 pickup prototypes before approving the type featured in Striped Series guitars. Wolfgang pickups are known for their bright, aggressive sounds and ability to clean up the sound when the volume is decreased. The pickup on the Eddie Van Halen Series guitar is directly mounted into the body, making for more resonant tones and less tonal interference. Van Halen enthusiasts: you no longer have to inhale paint fumes or piece together parts to get the sound and look that launched millions of record sales. 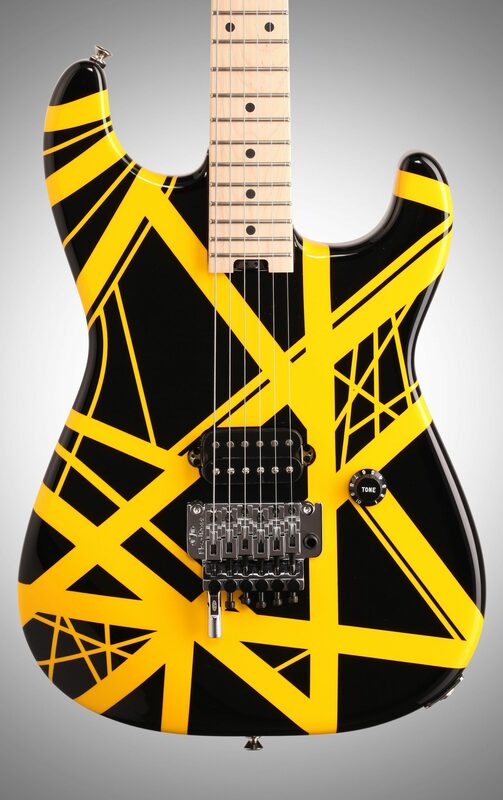 Reminiscent of the Iconic Striping on Eddie's Frankenstein Guitar, the EVH Eddie Van Halen Striped Series Electric Guitar features a quartersawn maple neck, 22 fret maple fingerboard with compound radius, EVH-branded locking trem and nut and the D-Tuna system for instant D-Tuning of your low E for when you need to drop into some heavy riffs at a moment's notice. The simplicity of the direct-mount Wolfgang humbucking pickup with a single volume knob (labeled 'TONE') offers the tonality you expect from an EVH guitar. "evh red black white "
"Nice axe for the money...."
Overall: This guitar is built by Fender in Mexico. The craftsmanship and component quality is much better than any of the Mexican Strats I have seen. 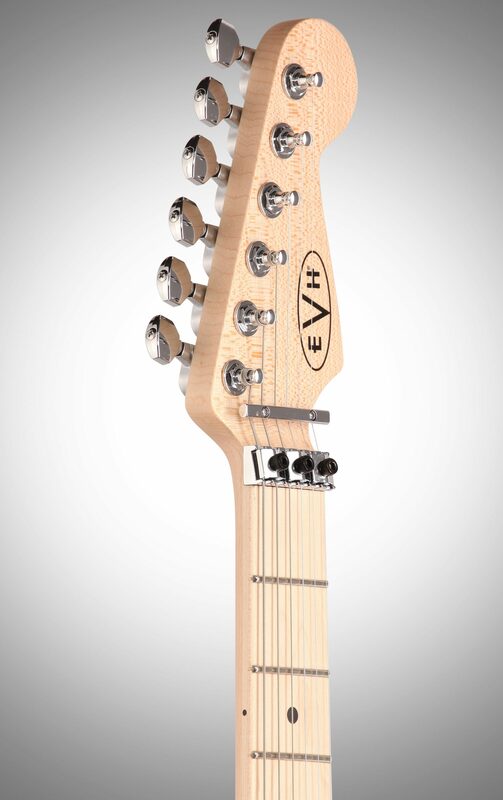 I have 3 US Strats and this EVH ranks close in my opinion. 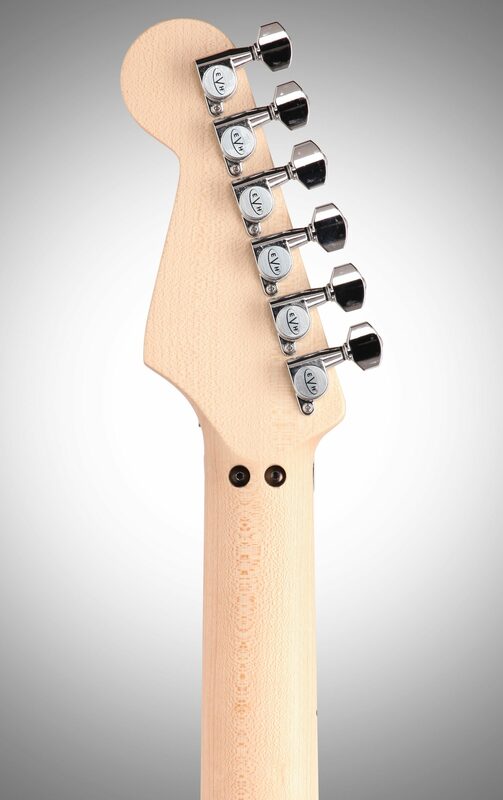 I love the neck, it is quite different than a strat neck, less radius on the fretboard and the profile is more of a U shape. It is unfinished which I like better than even the satin finished ones. I saw some complaints with the fretwork, mine is no different than any of my US strats. The EVH humbucker is awesome, great sustain yet articulate. If you are looking for versatility buy a strat. If you want a hard rock distortion machine this is a great choice.